It was quite late by the time Juliam and I arrived in New York City, but skipping dinner in one of the finest food cities in the world was out of the question. 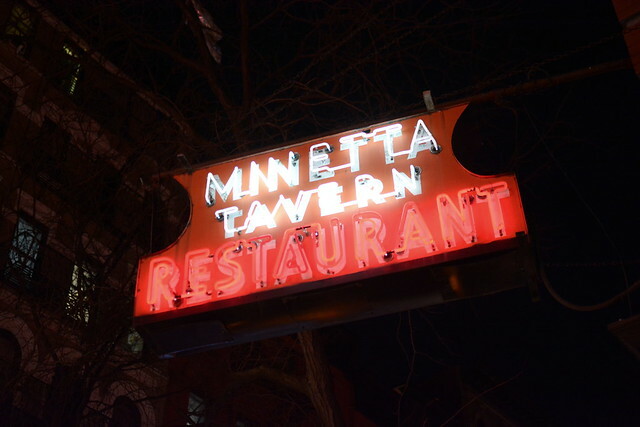 After dropping off our bags at the hotel, we walked over to Minetta Tavern just in time for our late-night reservation. 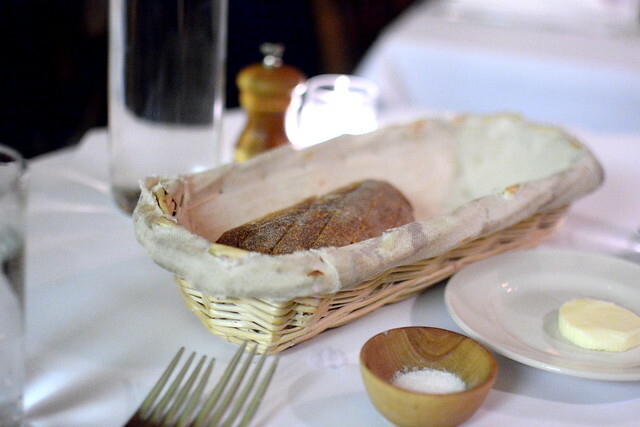 Dinner at Minetta Tavern goes down as one of the most awesomely delicious and least nutritionally sound meals I have ever had the joy of experiencing. 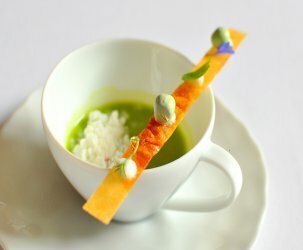 We ordered with our hearts and not with our minds, and our guts could not have been more pleased. A toasty loaf served with butter and salt arrived to start. 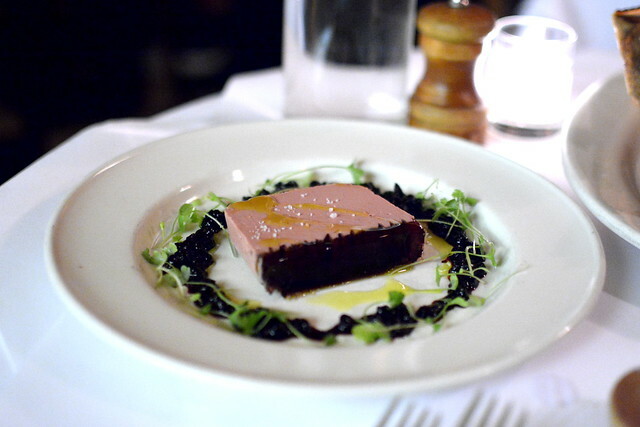 While the complimentary bread was good, it was hard to compete with the pate de foie ($22), a silky terrine balanced with coarse salt and port-soaked huckleberries. 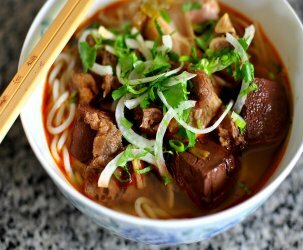 This classic preparation never fails to make my heart go pitter-patter, especially paired with a nice glass of red wine. 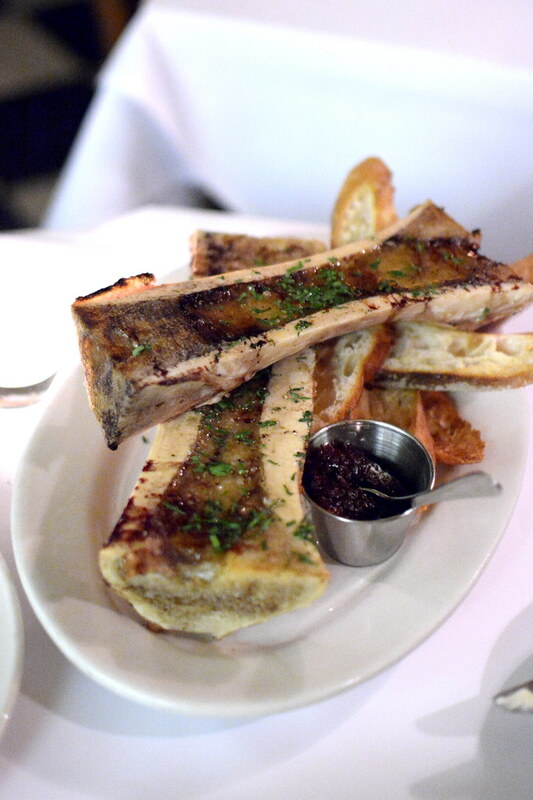 Juliam’s heart desired the roasted bone marrow ($26), and we could not deny it. Served with baguette “soldiers” and a shallot confit, the generously portioned marrow absolutely delivered on all fronts. We were much too stuffed following the foie gras terrine and bone marrow to split the Black Label Burger ($33) as previously planned, so instead we shared a Souffle for Two ($20). 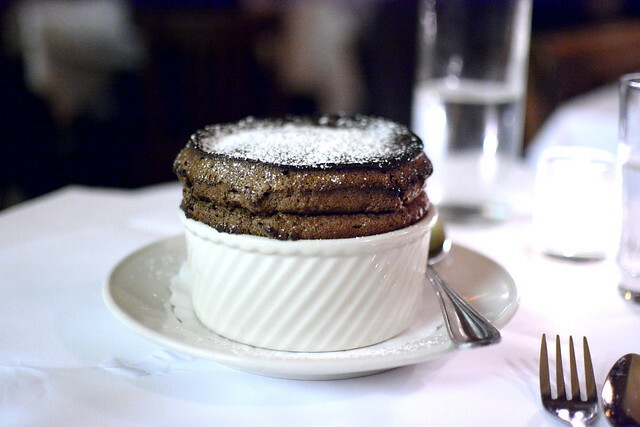 I adored how the souffle’s crisp and caramelized edges gave way to warm, chocolaty insides. Swoon to the max. I returned to Minetta Tavern a few days later for the burger and was so underwhelmed that I can’t even bear to soil this glowing review with a picture of it. 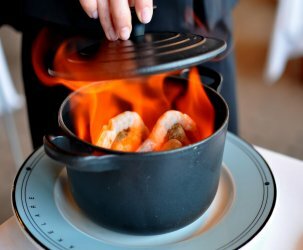 And don’t get me started on the awful oil-slicked grilled oysters ($24). 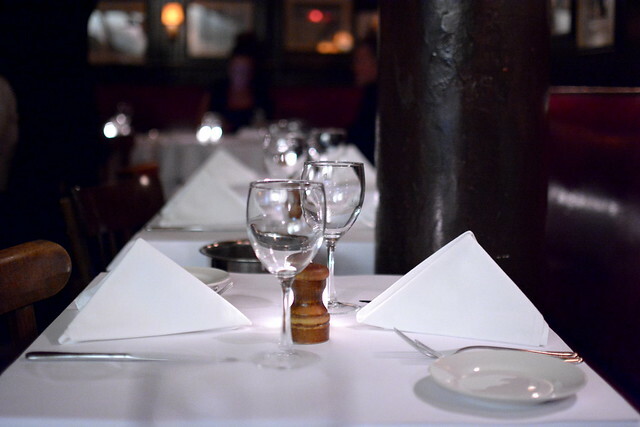 I’m not sure where this leaves us, but I would definitely return to Minetta Tavern for an indulgent feast of foie gras, bone marrow, and souffle, preferably on my first night in the city.